Soon you will see new Top level domains. Top level domains are the .com or .in like looking part of your domain name. Internet Corporation for assigned Names and authority (ICANN) had 22 TLDs( Top Level Domains ) available till now. ICANN, the authority on everything related to domains, is planning for implementing gTLDs. gTLDs stands for Generic Top Level Domains. So instead of a .com or .in you will be able to apply for a .personal or a .land domain. By the end of 2014 there will be literally 100s of new gTLDs for you to choose from. You will have gTLDs suited for your business that makes it every the more eaiser to remember a website URL. you will get cheaper domain names after the initial period. 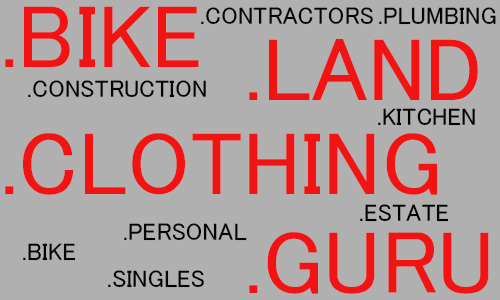 With the introduction of more gTLDs comes the prospect of more and more scamsters hoping to swoop in on your brand name and buy the domain. Squatting is usually followed by offers to sell the domain for a ridiculous price. With the introduction of the new gTLDs, ICANN introduced the Trademark Clearing-house (TMCH) which helps brands who have already registered a certain brand name as a trademark to stake their claims to all URLs featuring the new gTLDs. With all these new gTLDs comes the possibility that search engines could soon gear up to specifically search in certain gTLDs. Overall the feature of gTLDs are bright and promising. While the one you want might not be available at the moment, it won’t long before it will be.